On 1st Day of UP PGT 2016 Exam, 60% Candidates appeared in Exam. Exam was conducted in two shifts. Read full news from Image below…. More than 10 Lac Candidates has applied for UP TGT PGT 2016 Exam. As Per UPSESSB TGT PGT Selection Process, Written Exam was conducted first to select suitable candidate. There are so much speculations regarding Exam Date. As New Government has stopped all recruitment process of Uttar Pradesh Secondary Education Service Selection Board (UPSESSB), so exam was postponed many times. Finally UPSESSB has conducted PGT Exam on 01 & 02 February 2019. Exam was conducted at 11 Districts. On 1st Shift, Exam was conducted at 227 centres while in 2nd shift exam was conducted at 213 centres. UPSESSB conducted Exams for Physics, Chemistry, English, Hindi, Sanskrit, Biology, Commerce, Mathematics, History, Civics, Economics, Education, Psychology, Agriculture, Geography, Sociology, Art, Urdu, Botany, Physical Education, Music, Military Science, Mental Ability, Home Science, Pali. Candidates who appeared in UPSESSB PGT 2016 Exam, must be looking for Answer Keys of Written Exam, UP PGT Answer Key will available soon. 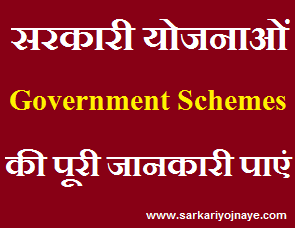 UPSESSB PGT Exam Answer Key will available shortly. Candidates are required to keep regular watch on UPSESSB Official Website. About UP PGT 2016 Exam Pattern : There was One Question Paper in the Exam. Written Exam had Objective Multiple Choice Type Questions. Time Duration for Written Exam was 120 Minutes (02 Hours). Questions will be from related Subjects of Trained Graduate Teacher Level OR Post Graduate Teacher Level. Written Exam has 85% Marks Weightage. Objection Form : Candidates who has objections regarding Post Graduate Teacher Exam Answer Keys, they can send Objections with valid proof. Candidates has to email Objections to upsessb. Candidates can send Objections from 11 to 18 March, 2019 to UPSESSB’s Official E Mail Id upsessballd.0532@gmail.com. Invalid Objection with out proof or Objections received before last date will not be accepted.